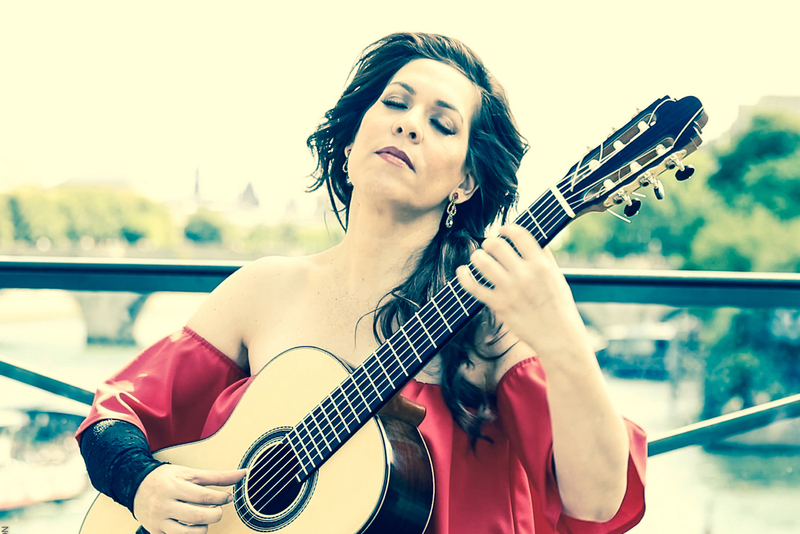 Pioneer of the revival of the classical guitar and its contemporary creation, Liat Cohen gave her first recital at the age of 14. Named "Princess of the classical guitar" her playing is intense, sensual and inventive as much as virtuosic. First Prize at the Paris Conservatory, graduated from the Schola Cantorum (Concert Diploma awarded unanimously with honors of the jury) at the same time from the École Normale de Musique de Paris (Diploma discerned unanimously), Liat Cohen is the first guitarist to have received the Nadia Boulanger Prize from the Foundation of France. She is also winner of numerous international guitar competitions, including that of Rome, Paris and Tel Aviv. Distinguished among the world’s best guitarists by Guitar Magazine and Classical Guitar Magazine, Liat Cohen is "a real guitar virtuoso perpetuating the tradition established by the legendary Andres Segovia, turning the intimate guitar into a solo instrument requiring large concert halls while retaining its delicate and warm tones " (Prof. Hirshberg, Hebrew University). 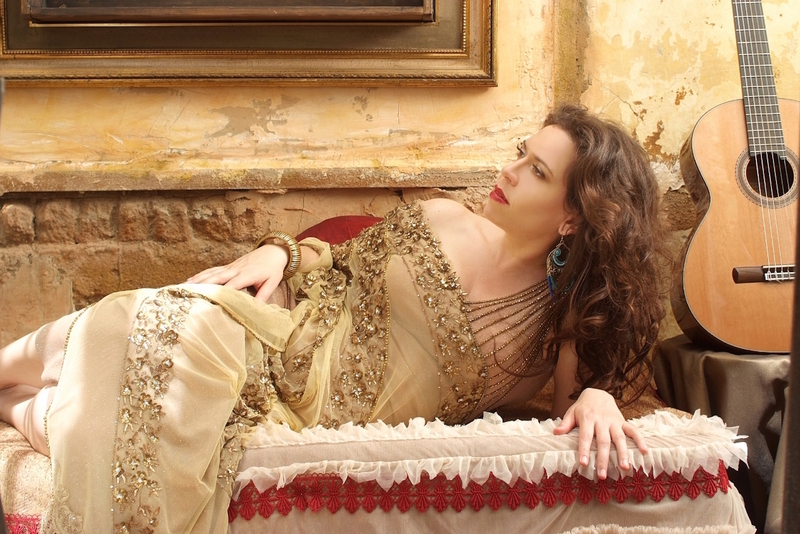 Liat Cohen performs on five continents and works with top world conductors: Frédéric Chaslin, Jacques Mercier, Jan Talich, Uri Segal and accompanied by major symphony orchestras and ensembles such as the Jerusalem Symphony Orchestra, Chamber Orchestra of Israel, the National Orchestra de Lorraine, the Bern Orchestra, Melbourne Symphony Orchestra, Haifa Symphony Orchestra, Symphony Orchestra of Istanbul, Talich Chamber Orchestra, Prazak Quartet, Quatuor Zemlinsk and many others. Liat Cohen’s reputations go far beyond. She is invited to Champs Elysees Theatre, Rudolfinum in Prague, Radio France, Chatelet Theatre, Palace of Fine Arts in Brussels, Cerclo de Bellas Artes in Madrid, the National Theater of Costa Rica, Museum of Tel Aviv Opera Montpellier, Skirball Cultural Center in Los Angeles, Crown Theatre in Jerusalem. She participates in many international festivals in Gstaad, Montpellier, Israel Festival, Buenos Aires “Guitarras del mundo”, London, Melilla, Cordoba. Most of these events are in live broadcast concerts airing world premieres and official openings.Muse and musician, Liat Cohen explores and transcends her instrument’s repertoire. Among many projects one can mention her transcriptions for the guitar-works of J. S. Bach recorded at the Abbey of Mont Saint-Michel as artist in residence. Transcripts that are found on the album "Liat Cohen plays Bach" from a recital for the European Heritage Day 20th.The magnetic temperament of Liat Cohen on stage, her noble tone and lyrical scope by mastery of the instrument is an inspiration for many composers. Dedicatee of many concertos and works for solo guitar by Joseph Bardanashvili, Yehezkel Braun, Narcis Bonet, Gil Shohat, Michael Wolpe, Boaz Ben- Moshe, Rafi Kadishson, Jorge Cardoso, Oded Zehavi, Eric Pénicaud ... part of these works recorded on her "Concertos" album published by Warner Classics in 2009. In 2009 she worked on Warner Classics new release double album "Virtuosi" with the Talich Quartet.Her concerts with the Prazak Quartet and the Talich Chamber Orchestra are captured by Mezzo TV; The DVD "A guitar in Prague» triple DVD published in 2011 was awarded the Golden Opus. In 2014, Liat Cohen creates an unusual journey to the heart of the Brazilian classical music: Rio- Paris (Warner Classics). The luxury crew consists of Natalie Dessay, operatic artist of worldrenown, Agnès Jaoui and Helena Noguerra. The quartet performers joined in a common fascination with Latin music. They distill their vocal and instrumental talents through the finest works of Heitor Villa- Lobos, Badén Powell, João Gilberto, Tom Jobim, and original compositions on poems by Victor Hugo. 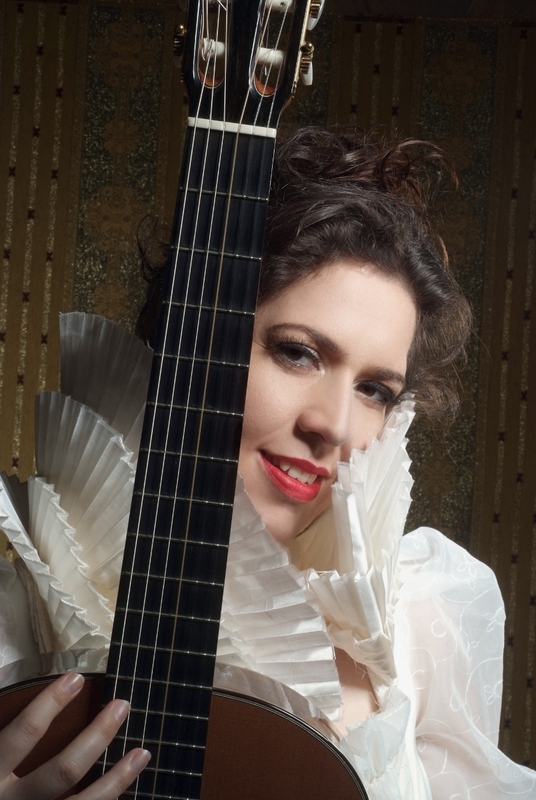 The CD reached rare heights for an album of classical guitar. First place all categories and several months in first place of conventional sales. Extensive media coverage "Highly Sunday" by Michel Drucker, "Tea or Coffee", "This is yours," Radio Classique, France Culture; praise from newspapers Le Monde, Le Parisien, Libération, Le Figaro and reports and interviews on France2, France 3, TF1, BFM TV, France Ô. Concerts followed at the operas of Rouen, Marseille, Reims, Limoges, Paris, Metz, Clermont-Ferrand and Olympia in Paris. Recent Liat Cohen concerts included concertos with Limoges opera orchestra, with National orchestra of Lorraine, Arsenal of Metz, Cap Ferret international festival and OBA Orchestra. A new album to be released on 2018 by Warner Classics where Liat Cohen will be accompagnied by opera singers Rolando Villazon, Charles Castronovo and Sandrine Piau. Maestro Cohen is teaching regularly in Music Academies and Master Classes around the world, as an integral part of her music research projects. On 2017 she will be teaching Master Classes at the Paris Conservatory CRR, in Malta and at the Cap Ferret International Music Academy. The release of the next CD "Madrid- Paris" (Warner) is planned for the end of 2018.